يقع في انقصتٌ, Country Pleasures Bed & Breakfast إنه المكان الأنسب لاكتشاف وادى باروسا و ما يحيطها. يمكن من هنا للضيوف الاستمتاع بسهولة الوصول إلى كل ما تقدمه هذه المدينة النابضة بالحياة. بالنسبة لمن يريد الخروج، هذه بعض المعالم السياحية المتوفرة للزوار نيفيل ج سميث - مركز الألعاب الرياضية, سوق باروسا للمزارعين, نبيذ تويسنر. استمتع بالخدمات الراقية والضيافة التي لا مثيل لها بهذا الفندق في وادى باروسا. لضمان راحة ضيوفه، يقدم الفندق الخدمات التالية: صف السيارات, رعاية أطفال . في الفندق غرف نوم يتجاوز عددها 4، كلها مجهزة بعناية وجمال وبعضها مزود بـ تلفزيون بشاشة مسطحة, حوض الاسترخاء, غرف لغير المدخنين, مكيف هواء, تدفئة. كما أن مجموعة الخدمات الواسعة الموجودة في الفندق لضمان راحتك تترك لك الكثير من الخيارات لقضاء وقتك أثناء فترة إقامتك. إن كنت تتطلع إلى إقامة مريحة وهادئة في وادى باروسا، فستجد في Country Pleasures Bed & Breakfast بيتك الثاني. What to say? The attention to details, the special touch, the many available extras, the provided food, the capacity to do laundry, the intimate and quiet setting. We truly felt at home! 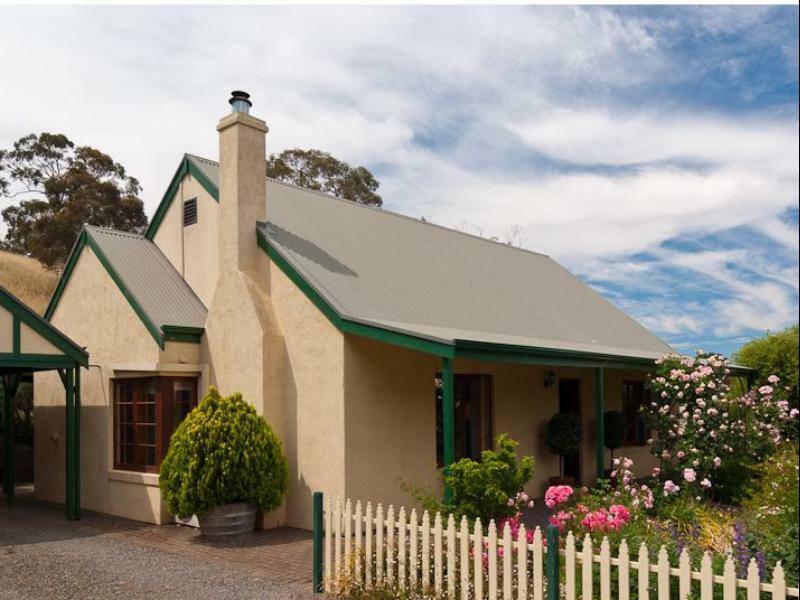 Great little cottage just out of Angaston. (700 metres) to town. Well stocked with breakfast supplies and other little touches, wine, port, chocolates etc. Cottage is well equipped with electric blankets, wood burning fire and airconditioning. Also a spa for an afternoon soak. Well situated for Barossa touring and Angaston also has eating options. An around great stay. We couldn't have been happier. Everything you could possibly need was provided. Can't wait until we can do a return trip. 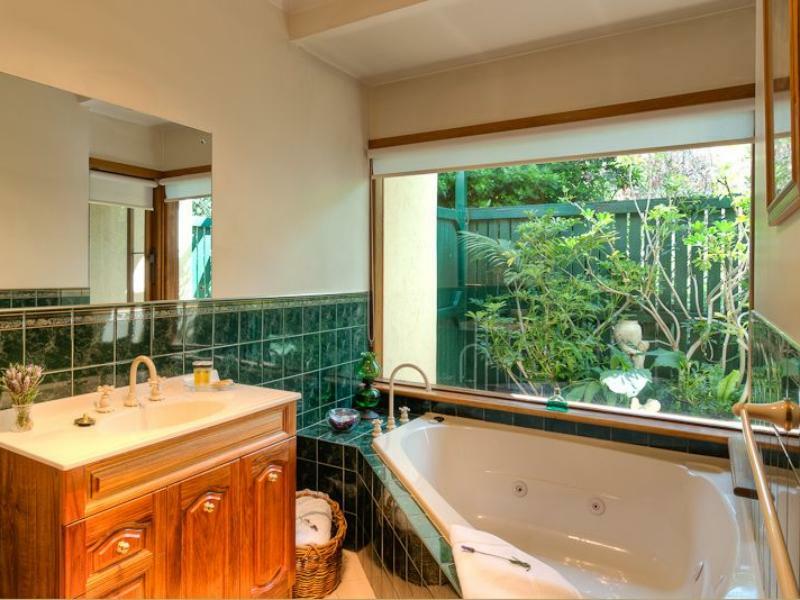 The cottage was very well appointed, clean, quiet and comfortable with Angaston town centre only a 5-10 minute walk. Breakfast provisions were plentiful and of good quality with additional supplies only a phone call away. The proprietor, Roxane, was welcoming and accommodating and we would definitely stay again. i picked this cottage because i was travelling with a friend and i liked that we would both have our own room. the place was nice and big with lots of room for us to relax and spread out. the kitchen is large with everything you could need to self cater. the cottage is 10 minutes walk to the main town if you wanted to avoid driving out for dinner. the breakfast ingredients were premium and we loved the home cooked sweets left for us. i would recommend this place and i would happily stay again. this beautiful cottage has everything you could possibly imagine you would need. from a complimentary bottle of wine in the fridge on arrival, to the best equipped pantry for you to cook your preferred style of breakfast. the bathrorom was beautiful with a huge spa and the softest towels as well as all the extra things a lady might need. the washing machine was a great asset on our travelling holiday and we appreciated the pegs and line supplied. i highly recommend country pleasures to anyone who wants comfort and indulgence.